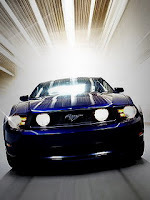 Advanced FLOW engineering has announced their newest product, a Stage 2 Cold Air Intake for the 2010 4.6L Ford Mustang. The intake kit contains a one-piece powder-coated heat shield, a performance-engineered intake tube, and a Pro-5R air filter or Pro Dry S filter. 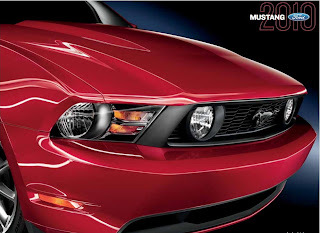 intake for the 2010 Ford Mustang with the V8-4.6L part numbers 54-11782 and 51-11782. In recent testing, part number 54-11782 outflows the factory intake by 47% and produced an astonishing 8hp and 4ft. lbs. of torque. Part Number 51-11782 retails for around $344.40 and is available in stores now. Part Number 54-11782 retails for around $351.75 and is available in stores now. For more information on this or any other aFe product, please visit our website at www.aFepower.com or contact our Power Professionals at 1-951-493-7155. This entry was written by by NewProducts (Stang TV Forums) and posted here on Friday, July 23rd, 2010 at 4:49 am and is filed under Uncategorized. This article was not written by us, rather gathered using RSS feeds listed here. We take no credit for this article. You can leave a response, or trackback from your own site.